Perhaps they should have known from Day One of their 13-stop speaking tour, when they drew just 3,300 people to a 19,000-seat arena. But Bill and Hillary Clinton are all about them dollars, so they've pushed through with their poorly attended tour and now have resorted to selling the undesirable tickets on Groupon. 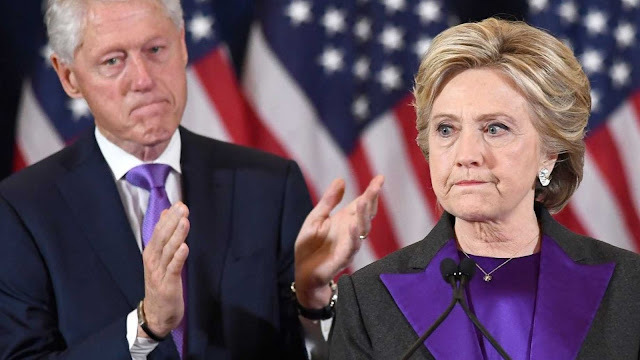 Some tickets for one stop in Canada for their "An Evening With the Clintons" tour sold for just $5, but now they've cut prices by nearly 60% and in a deal with Groupon to draw more people. "On the official site, there were still seats for the tour available for up to $325, with other floor seats going for $83 plus a hefty service charge, but on Groupon, they can be picked up for as little as $35," the Daily Mail writes. New York Times columnist Maureen Dowd, a liberal and longtime supporter of both Clintons, last week mocked the pathetic speaking tour. “I’m looking around Scotiabank Arena, the home of the Toronto Maple Leafs, and it’s a depressing sight. It’s two-for-the-price-of-one in half the arena. The hockey rink is half curtained off, but even with that, organizers are scrambling at the last minute to cordon off more sections behind thick black curtains, they say due to a lack of sales. I paid $177 weeks in advance. (I passed on the pricey meet-and-greet option.) On the day of the event, some unsold tickets are slashed to single digits,” Dowd wrote.